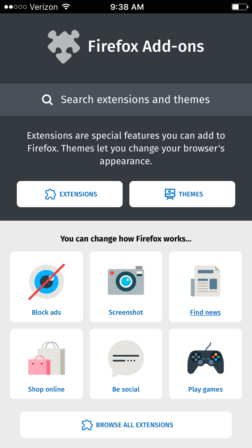 The mobile version of addons.mozilla.org (AMO) recently debuted a new appearance. It’s not a complete redesign, but rather the start of an iterative process that will take months to fully transform AMO for mobile. The new look is also a preview of what’s to come for desktop AMO. Once the mobile design elements mature, we’ll apply the same concepts to desktop, likely sometime later this year. Our main goal was to make browsing add-ons more intuitive and effortless. To that end, the new design presents content in a cleaner, more streamlined manner. There are fewer buttons to tap, but the ones that remain are bold and clear. Illustrated in the images above, the homepage displays a subset of categories represented primarily though iconography… The density of information on an add-on detail page is more balanced now, with only essential information in clear view… and theme previews are bigger and screenshots more prominent. There’s a bit more color, too. In general much of the aesthetic was in need of a modernizing overhaul. These recent changes are just the start. Plenty more to come. 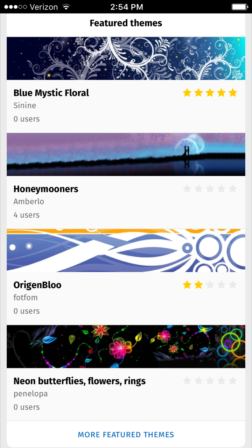 If you’re exploring the new AMO on your Android device and spot a bug, please feel free to let us know about it. By chance it was just today that I had to set my mobile browser again and also visited AMO. To be honest: I didn’t like it at all (I honestly thought for myself: “When did they break the mobile site???). * Dark grayish? Really?!? Are we offering “crackz” and “warez”? Is AMO going undercover? Do we want to offer our services on the dark web? It’s not at all a design that fits to our beloved Firefox and the tinkerers at AMO. You even managed to make the AMO logo designed by Erick look like a racoon – and everybody knows they’re always in disguise and certainly must be hiding something. * By default mixing add-ons and themes when searching? Not a good idea! Nobody wants to search for both at the same time. * Last but not least: German localization needs a lot of work (I don’t even want to know how other less common languages look). So that where the first impressions only doing the most fundamental things… Obviously not a good one. Agreed, I didn’t care for this at all especially since I was searching for extensions and I have no interest in using themes on Android. I had to go to the full site which is not ideal on a small device. 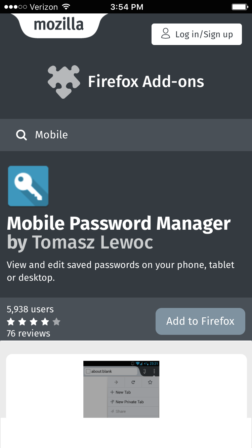 I do wish that AMO would return advanced search for both desktop and mobile. I never understood why it was removed considering how useful it was.